NOTE: The Google API for YouTube Data has been substantially changed. 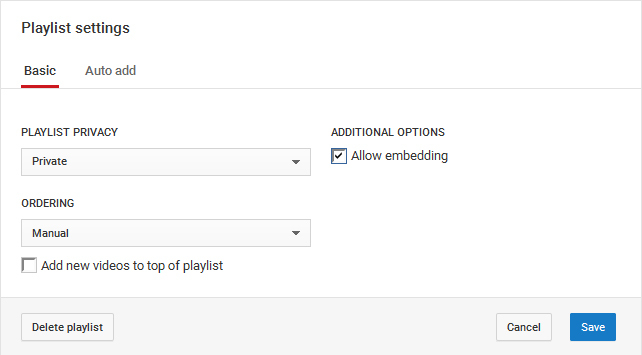 You will now need to enter the id of your playlist from the playlist URL. I can get less data about the videos. NOTE: If this web application is not working for you, you can now buy my Windows application for only $5.00. The Windows application has more features and can handle large playlists. Programming by Robert S. Robbins. This web application backs up the information on your favorite YouTube videos to an Excel spreadsheet. You can then save the Excel file to your hard drive or other media. The reason you may want to export your favorites from the YouTube database is because YouTube has been deleting the accounts of content creators who violate their terms of service. Some accounts have been deleted without warning or explanation. If your account is deleted you will lose all your favorites and have trouble finding those videos again. However, if you have backed up the video information then you can recreate your favorites on a new account. Internet Explorer will pop up a File Download dialog box giving you the option to Open or Save the YouTube-Favorites.xls file. You will need Microsoft Office Excel or a program capable of opening Excel files like Open Office. If you choose to open the file you will see another dialog box warning about the file extension. This is because the Excel file is in the HTML format but is being delivered with the XLS file extension. You can safely ignore this message so just click yes. NOTE: It is important to realize that this Excel file is in the HTML format (essentially a HTML table) and needs to be saved from Excel in the native binary format to create a true Excel file. NOTE: If you get an error: The remote server returned an error: (403) Forbidden. It is because you do not have your playlist privacy set to Public under your playlist settings.